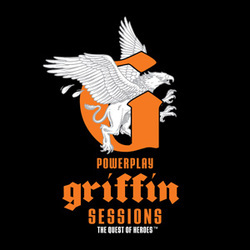 Eastrand Toilet Hire is proud to announce to have been chosen as a service provider to the 2012 Griffin Sessions in Newtown Johannesburg. With an estimated 2000 - 3000 attendees, there'll be a great need for a smooth comfortable lavatory experience, which is where we come in. We will have competent and friendly janitors on hand to maintain the toilets throughout the event. When nature calls, we'll be on hand to provide the answer.. It is 48 Hours of Creativity fuelled by PowerPlay. Enjoy a combination of design, fashion, street art, photography and melodic experiences fused into this 48-hour showcase. Eastrand Toilet Hire is proud to announce being chosen to provide sanitation services to the 2012 Outdoor Eco Adventure & Travel Expo. We will be onsite for the full duration of the even to provide ablution facilities and maintain them througout the event. Johannesburg - South Africa will host the 12th annual World Toilet Summit in Durban in December 2012, the SA Toilet Organisation (Sato) said on Friday. The summit, a World Toilet Organisation (WTO) event, is expected to attract over 1 000 delegates and exhibitors to Durban. It will focus on human rights and health and hygiene. Sato and the WTO aim to improve the quality of human life and to ensure dignity through the provision of adequate sanitation solutions for all people. "It is estimated that up to 2.6 billion people throughout the world do not have access to proper sanitation," the statement said.